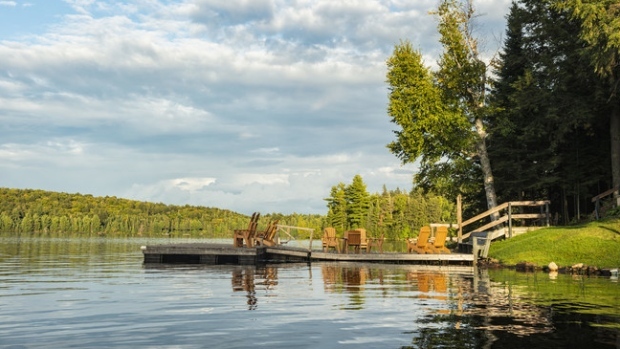 Porter Airlines will soon be offering a way to fly to Cottage Country. Beginning this summer, Porter Airlines will operate flights from Billy Bishop Airport in Toronto to Muskoka Airport in central Ontario, according to a release Monday. Flights will last about 20 minutes each way and will operate twice weekly, on Mondays and Thursdays, during the peak summer season from June 27 to September 3. The cost of a round-trip ticket is about $115, according to a search on Porter’s website Monday. The popular tourist destination is home to summer cottages and scenic camp sites as well as golf courses, marinas and other cultural attractions. Explorers’ Edge — the tourism organization for Muskoka, Parry Sound and Algonquin Park — is also teaming up with Porter by introducing incentives for travellers to book with the airline, including a shuttle bus service from Muskoka Airport to transport passengers to accommodations across the region. “It is our intent to leverage this service to increase international visitation across our entire region,” said James Murphy, executive director of Explorers’ Edge, in a release.